Era of Tyranny, The story of heroes who are recorded as pirates who saved the World. One day, a lot of bodies pushed to the beach … One of the familiar faces in it, He was called the “Pirate King” and was lying in the rubble of a wrecked ship. He, who thought he was dead, woke up and was led to a prisoner of execution. The charges were of looting, murder and destruction, all crimes that could have been received as pirates. His trial took place quickly, It was a situation in which all the memory of past days was lost and hanged. A few hours before hanging, he escaped from the a place of execution with the help of a man who did not know and then small ship and map was be delivered to begin the voyage. The man, who doesn’t even remember who he is, just called the ”Pirate King" begins his adventure to find his memory, discovering many conspiracies and his shocking past. Will he be able to regain his old memory and receive the title of king of pirates again? 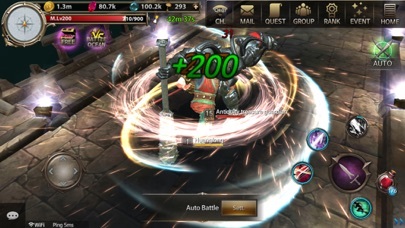 ▶Game Introduction - More fun way to play with Combination of MMORPG and MMOTPS - Let's meet the coolest batting experience ever met with great sound and background music. 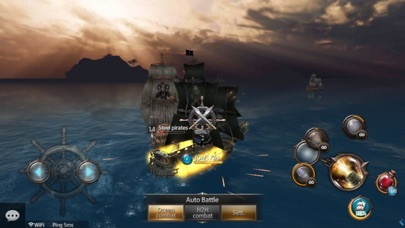 - Based on various ships and heroes, new game system that goes beyond Marine combat, H2H combat, and land-based combat - Differentiated contents such as 1VS1 Battle Ocean PVP, Marine combat, H2H combat and DOGFIGHT. 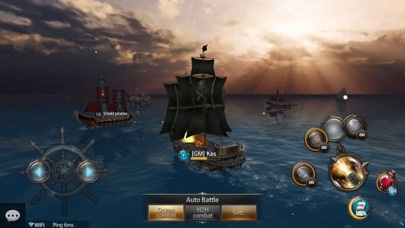 ▶ Game Features - Ship Experience real-time maritime combat and PVP experience with more than 10 type of ships and prove your strength. - Hero Go on Exciting adventure with over 15 kind of hero characters! 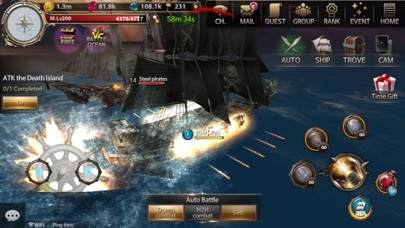 Treasure Island and DOGFIGHT are waiting for a powerful enemy and a great reward for users. 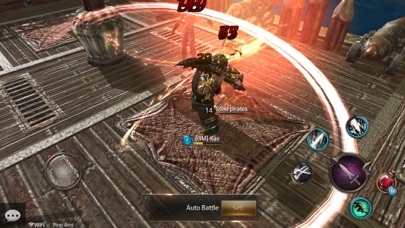 - Item Only a strategic combination of items can survive the limitless competition! Target competitor weaknesses by appropriately wearing items dedicated to Ships and Hero-only items. 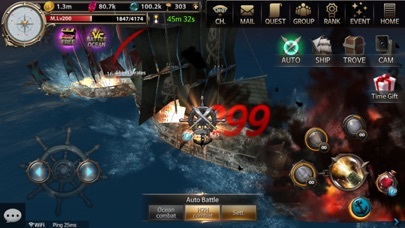 - Event Monster Defeat Golden Ship, Kraken, The Wave Ruler, King Kraken and upgrade to the strongest ship! 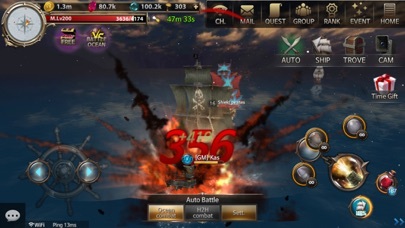 Defeat the "King Kraken" in Kraken's sea and complete the strongest ship, the RedSkyShip - Pirate Group Recruit strong guild members and become the best guilds in unlimited competition! 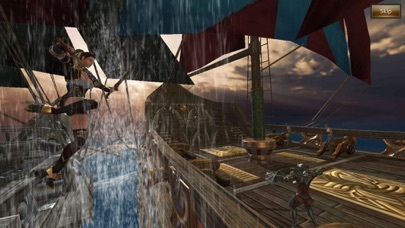 In the PVP area, only pirates group are the only means of protection. 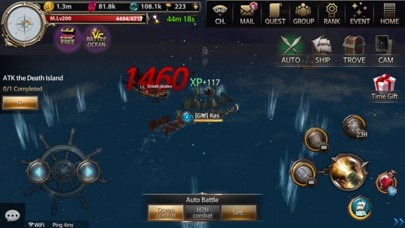 - Quest Mission to help the game progress Daily events Enjoy sweet rewards every day with various Quests and Events - PVP Sea 2, 5, 8, 11, 13-18 and the Marine combat area are PVP area. 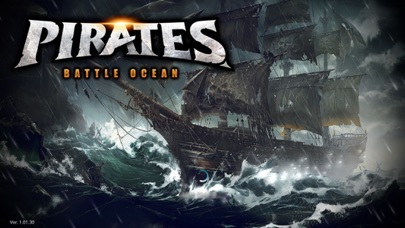 1vs1 PVP content, collecting coins from Battle Ocean and then try to acquire dedicated ship If you're ready to become the King of the Pirate, challenge now! !